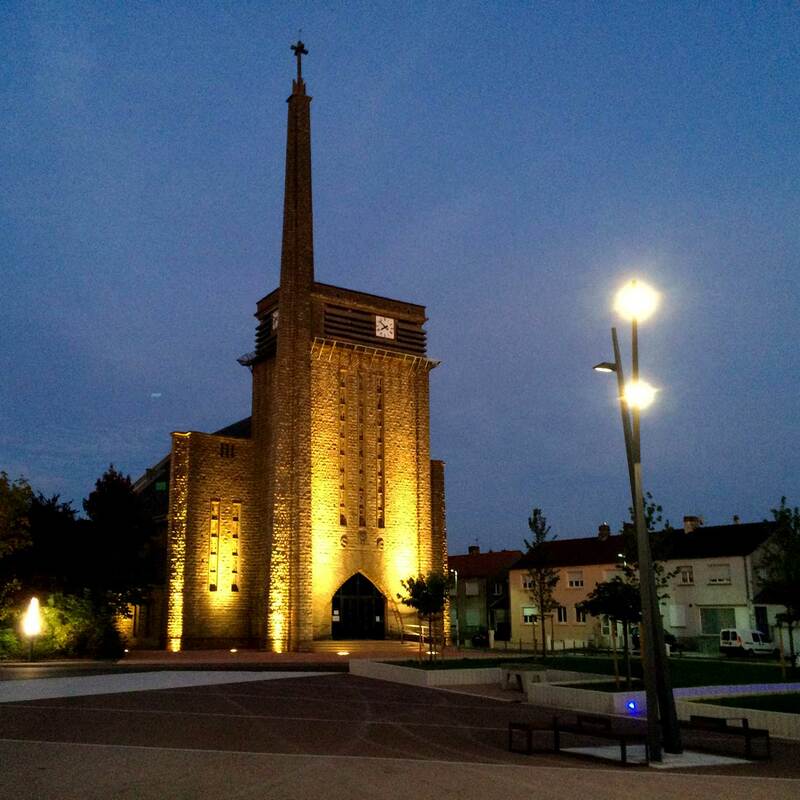 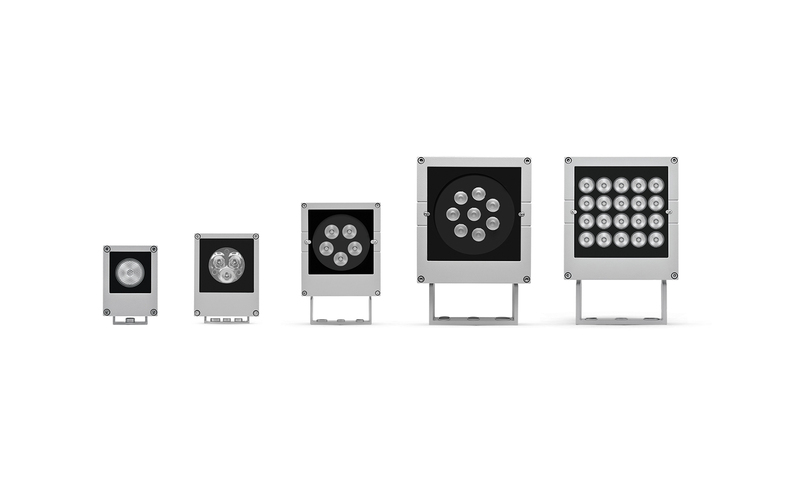 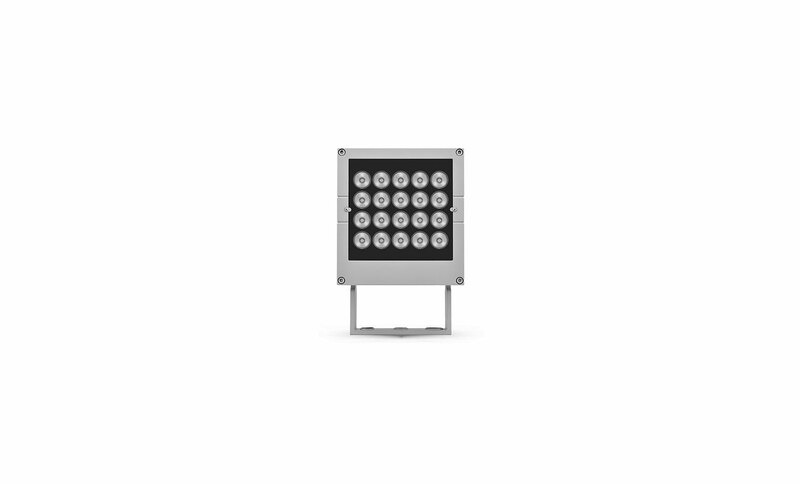 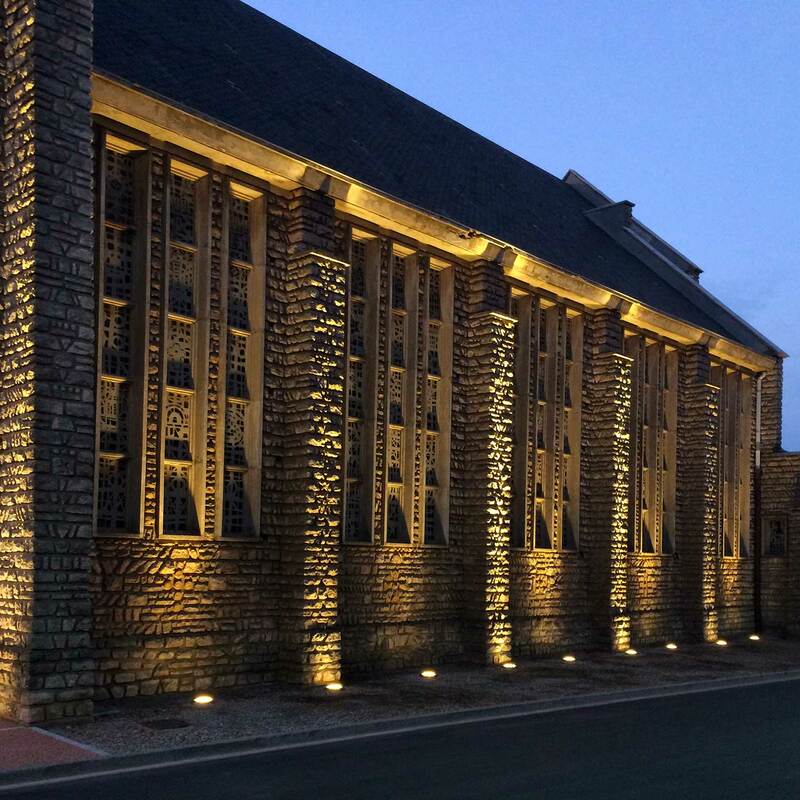 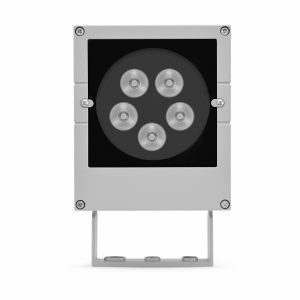 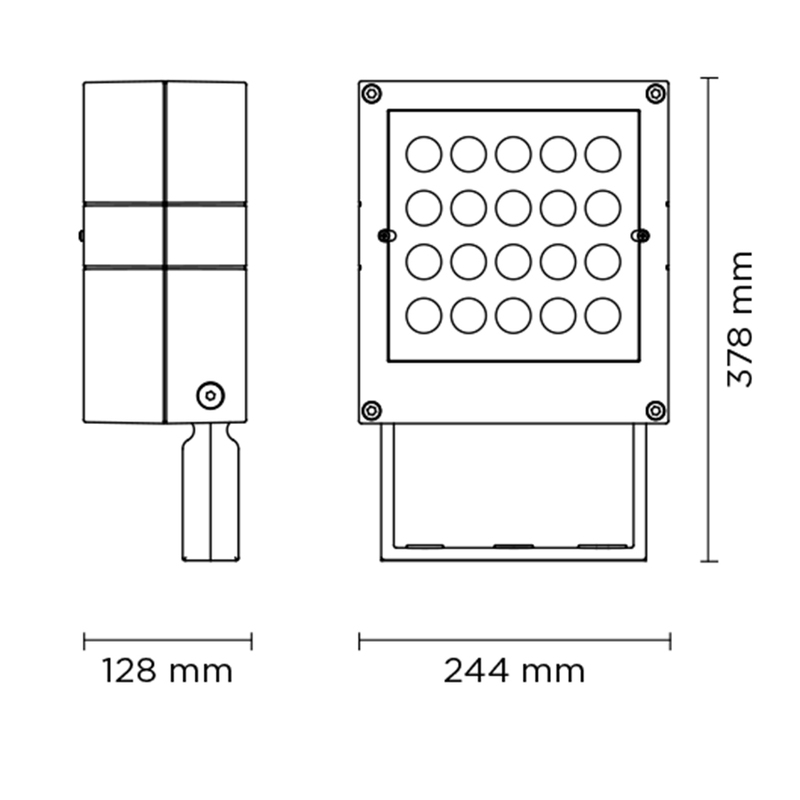 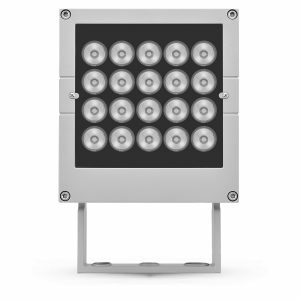 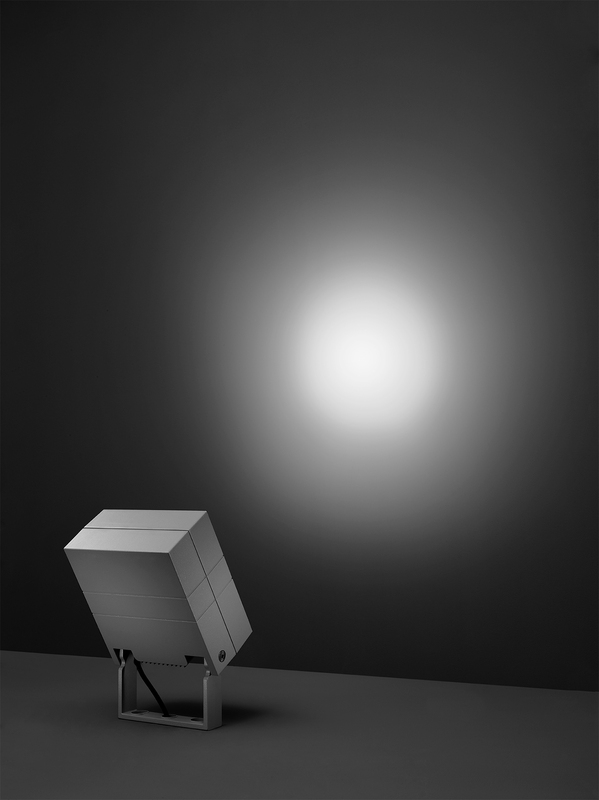 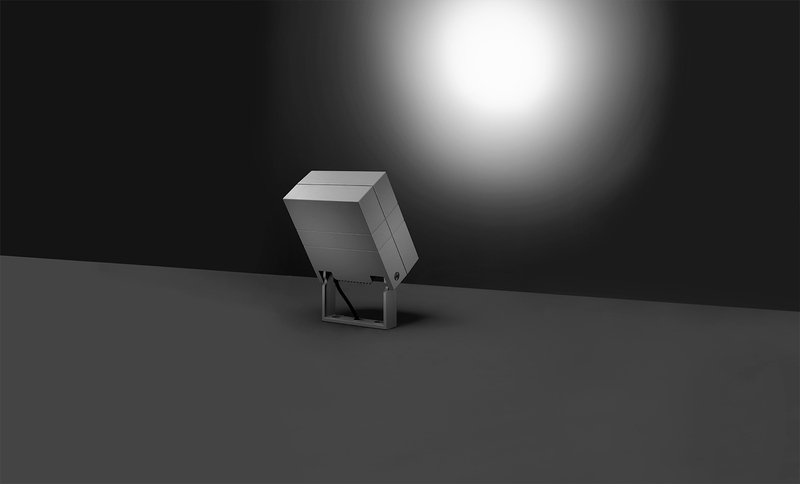 Square floodlight for outdoor installation on a façade/wall. 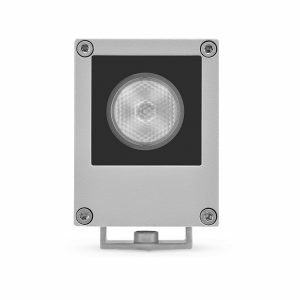 Phospho-chromatised and polyester powder coated die-cast copper-free aluminium body, tempered safety glass, moulded silicone gasket and stainless steel screws. 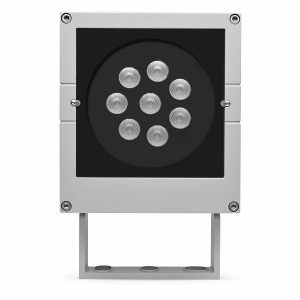 Built-in LED driver 220-240V 50-60Hz, with 20 CREE XP-L LED. 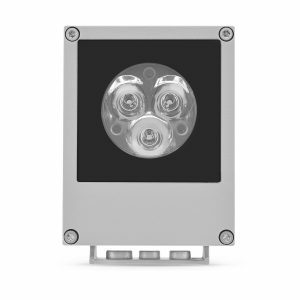 IP65 rating.